For nearly 30 years, Dr. Brian Brown knew about a mysterious unidentified phorid fly species, whose females would often be spotted flying above mushrooms, while the males were nowhere to be found. Little did anyone know that this years-long puzzle would be solved once and for all after a surprising call came in earlier this year, in April. Los Angeles Bed & Breakfast owners Patsy Carter and Lisa Carter-Davis had decided to alert entomologists about the newly emerged numerous mushrooms in their yard. The study is published in the open access Biodiversity Data Journal by Dr. Brian Brown and his colleague at the Natural History Museum of Los Angeles County, Emily A. Hartop. It is the latest in a series of publications resulting from the extensive BioScan Project, which surveys the biodiversity in the Los Angeles area and was launched in 2012 by the NHMLA. It turned out that these mushrooms were hosting the mysterious flies. 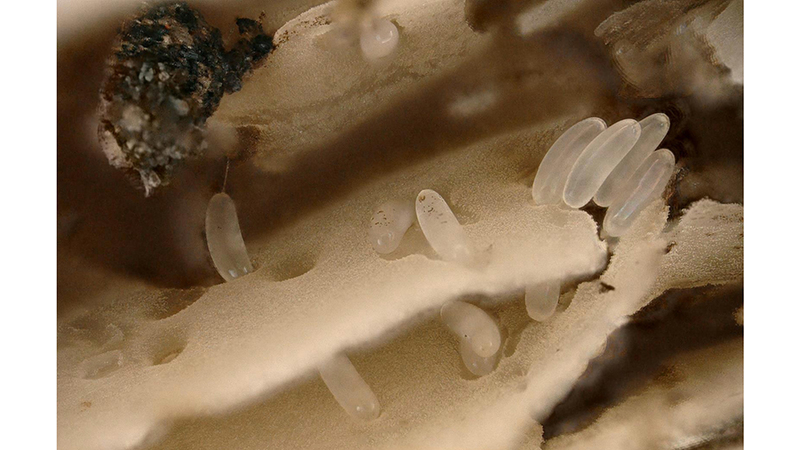 Females were ovipositing in the mushroom caps with the larvae subsequently developing and feeding on the lower surface of the fungi, deep within the gills. Later, the larvae would exit the mushroom to pupate into the soil underneath before emerging as adults. Most importantly, the team managed to collect specimens of the previously unknown males, which allowed them to successfully identify the mysterious species as Megaselia marquezi. Over the span of the BioScan Project, the species had already been known to be the sixth most commonly collected one around Los Angeles, yet its lifestyle has remained a secret until now. They also noted that, “We can do great things with the help of citizen scientists, who extend our reach into urban areas that are generally off-limits”.